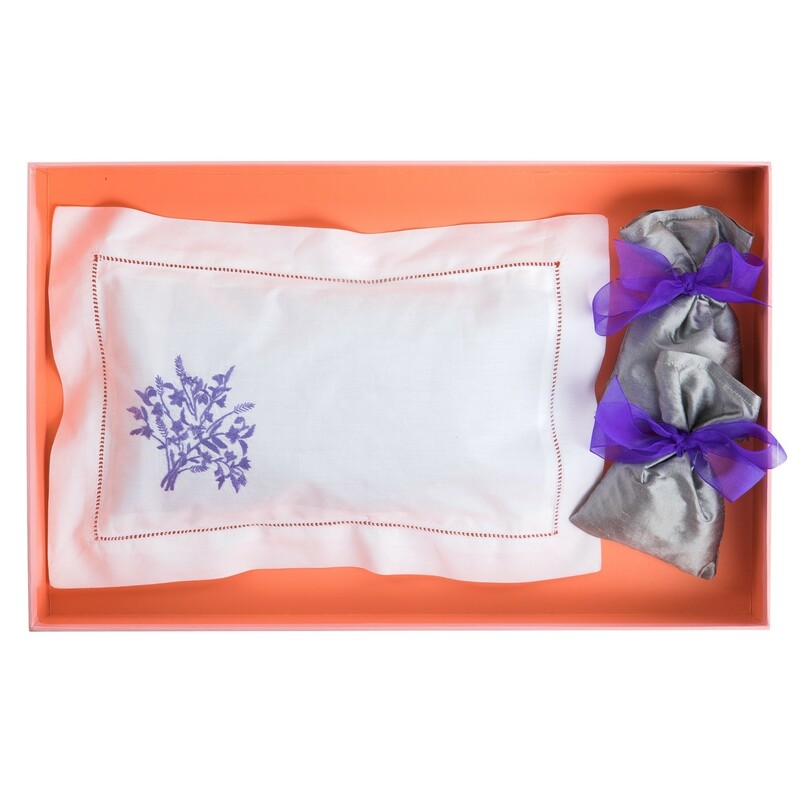 The perfect lavender combination presented in a beautiful gift box. 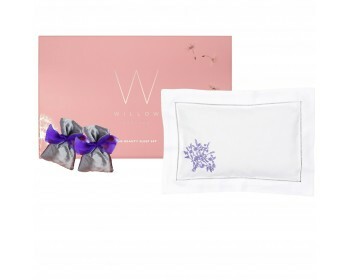 A stunning hand embroidered pillow filled with Organic English Lavender to calm, helping you to relax and unwind into a deep and restorative sleep. Lavender has been proven to have a soporific effect on our minds and bodies making it the perfect natural sleep aid.